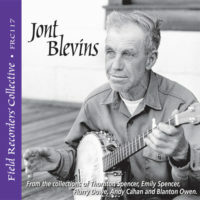 All five of the 2015 releases for one discounted price: Dean Sturgill – The Spencer Branch Fiddler (FRC710), Craig Johnson – Deep Woods & Hollows (FRC711), Old Time Fiddle Music of Allegheny County, NC (FRC712), Maggie Parker – Hammons Family Songs & Music (FRC713), and Tom Fuller – Traditional Fiddling from Oklahoma & Texas (FRC714). 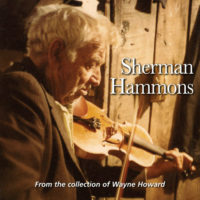 Dean Sturgill – The Spencer Branch Fiddler (FRC710) – Dean Sturgill was born in 1934 in the Spencer Branch section of Ashe County, North Carolina, where he still lives today. His father played clawhammer banjo, autoharp, and organ. His primary musical influences were his older brother Breece, cousin Paul Spencer, Esker Hutchins, Kenny Baker, and Albert Hash. Dean played with the Grayson Highlands Band for many years, frequently winning ribbons at local contests and entertaining dancers throughout the Blue Ridge. Dean is also a writer, poet, and storyteller. He has published three books of his poems about hunting, fiddling, and life in the mountains of Western North Carolina. Craig Johnson – Deep Woods & Hollows (FRC711) – 2009 was a year that shook the earth for me; unfathomable losses of my mentors, collaborators, peers, and luminaries that I met and admired, and some I wished to have met. Most shared that denominator that they left this world better than it was before them. Those of you who did not meet Craig, who was among those lost in 2009, have been cheated; those that knew him have been robbed. They knew his arresting magnetism, his sensitivity, his humor offsetting his broad wisdom, and depth that stretched out like expanding galaxies. And there was so much more to come from Craig. As for the facets of just his musical life, this CD comprises only a few drops from the clear, cool, rolling river that sometimes side-branched off into deep woods and hollows, and that always refreshed those that met him. If you are encountering Craig’s music here for the first time, prepare to be enriched, to reflect, to laugh and to sob, and to dance. As for the rest of you—rejoice in all of that as well, and in his music, here again—and remember. 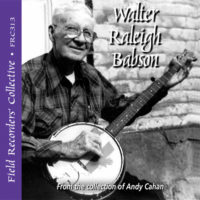 Old Time Fiddle Music of Allegheny County, NC (FRC712) – Despite having produced well-known fiddlers such as Guy Brooks, Art Wooten, and Tim Smith, Alleghany County’s rich old-time fiddling tradition has remained largely out of the spotlight. As with other mountain musical communities, the common threads of tradition have met the innovative touch of the musicians to create a complex and powerful sound. The 5 fiddlers, Lawn Brooks, Mack Brooks, Kilby Reeves, Cleave Andrews, and Howard Joines, offer a slice of Alleghany fiddling that covers a range of styles – from traditional to early bluegrass, from simple and driving to complex and progressive, sometimes within a single fiddler’s repertoire. Maggie Parker – Hammons Family Songs & Music (FRC713) – Maggie Parker (1899-1987), a sister of Burl and Sherman Hammons, was best known for her enormous repertory of songs, family legends and humorous stories. She played banjo with a wonderful, delicate touch, in two-finger and in “frailing” style. Locally, in the West Virginia counties of Pocahontas and Webster, she was also celebrated for her extensive knowledge of herbal cures. The songs and tunes on this CD were recorded in eight different sessions, from December 12, 1973, to September 16, 1980. 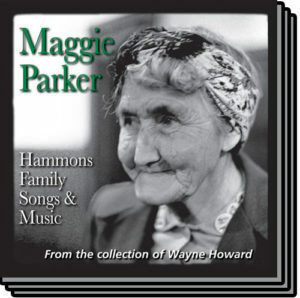 All the sessions took place at the home in Stillwell, Pocahontas County, West Virginia, where Maggie lived with her brother Burl and sisters Emma and Ruie. 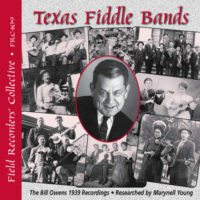 Tom Fuller – Traditional Fiddling from Oklahoma & Texas (FRC714) – Tom Fuller (1890-1979) was born and raised in Indian Territory before Oklahoma became a state. Orphaned as a child, he made his way through life guided by a strong work ethic, a love of music, and a kind heart. He worked as a farmer, cowboy, and oilfield worker in southern Oklahoma and west Texas. His fiddling represents an earlier time, predating modern Texas contest style, when a fiddler’s main role was to play for dancing and to entertain family and neighbors. Although made near the end of his life, these recordings still show his distinctive arrangements, intricate bowing, strong rhythm, and clear phrasing.